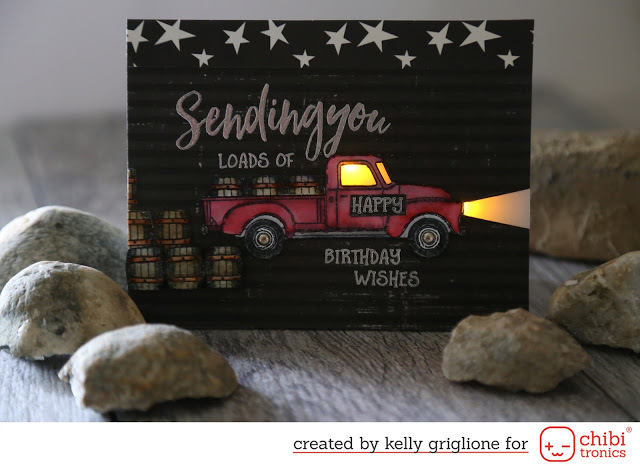 This truck from Honey Bee Stamps will light up if you press on the barrels. 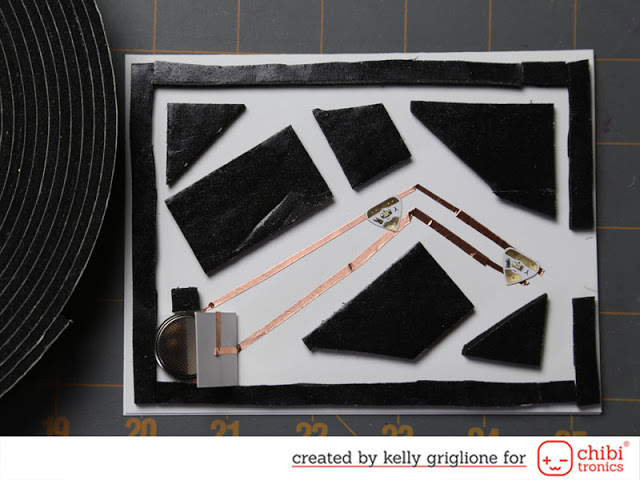 The window of the truck and the headlights have been cut out from the cardstock and replaced with vellum. This allows you to better control the shape of the light.